The Maharashtra Cabinet on March 5 took a decision to allow conversion of collector’s land given for housing and non-housing projects into freehold land. The premium landowners have to pay to get the conversion done for housing purposes was also reduced to 15 per cent of the ready reckoner (RR) rate from the earlier 50 per cent. The Maharashtra government invited criticism from property owners when it decided to implement a steep hike in transfer of collector property last year, a move that was aimed at improving revenue. That brings us to a question that often confuses property buyers in the state. How are collector properties, also referred to as collector passing property in Mumbai, different from other properties? Are there any risks investing in such properties? Let us find out. Land is a state subject. In a state, government-owned properties fall under the control of the revenue department, and the ownership of such properties vests with the city collector. For developing housing projects on such land parcels, developers, state as well as private builders, have to take the collector’s permission. It is only after obtaining his permission that a developer or property owners can start the process of attaining permissions from other municipal and development agencies to state the construction work. Private estimates show there are about 3,000 housing societies built on collector’s land in Mumbai while there are around 22,000 such societies across the state of Maharashtra. In Mumbai, such properties are found in the city centre (Nariman Point) as well as suburbs (Mira Road, Vasai, Virar, etc.). Several of the city’s government and privately developed high-profile housing societies are built on collector passing property. How is collector property different? Collector passing properties, also known as B1 properties, are sold to buyers on a leasehold basis for a specific period, which might span up to 99 years. Since these are leasehold properties, residents of such housing societies are legally acknowledged as Class-II occupants, and their rights are limited when compared to Class-I occupants who own freehold properties. For renting, mortgaging, gifting and selling these properties, the property owners need the prior permission of the collector. Apart from taking the collector permission to carry out the transaction, property owners have to pay a transfer fee if they plan to sell their property. After a revision on transfer charges was implemented last year, rates of collector properties have increased four times in the city. In case a buyer transferred the membership within five years of formation of such societies in Mumbai they will have to pay Rs 1,000 per square foot or three per cent of the ready reckoner rates prevalent in the area, whichever is higher, as transfer fee. In the case of transfers or sale of apartments after five years of society formation, an amount equal to two times the transfer fee, calculated as per the revised rates, would be payable. In case of leave and licence, the owner has to pay five per cent of the total amount earmarked in the lease agreement. In case the collector's permission has not been sought, issues might arise posing threats on the legality of the transaction. In fact, the registrar's office temporarily stopped registering properties built on collector land in January this year to curb such practices. “The registrar’s office has received a circular from the collector’s office informing that unless the property registration card mention it is a B1 property and is accompanied by a no-objection certificate from the collector, it will not be registered," an official was quoted by the media as saying after the announcement. However, one can regularise the construction by taking the collector’s permission after paying a penalty, which would be double the transfer charge. After the lease period expires, the buyer has to submit an application for the renewal of the lease since they do not become the absolute owners of the property. It is entirely up to the collector to accept or reject the application. Every time a lease is renewed, the buyer has to pay a pre-fixed amount to do so. Housing societies since long has been demanding collector properties be tuned freehold from leasehold. This would pave the way for hassle-free redevelopment of such housing societies where government intervention and compliance would become limited. *These are often premium properties in the city’s posh localities. However, a buyer must remember that the cost of buying and renting these properties will be higher when compared to similar properties as there are transfer charges involved. Apart from all the standard charges, buyers will have have to bear the transfer cost. *The documentation process would also be lengthier since additional approvals must be taken to complete the transaction when compared to an average deal. *Since there are no issues involving the legality of such properties, getting a home loan to buy collector properties is also not difficult as long as your paper work is complete. 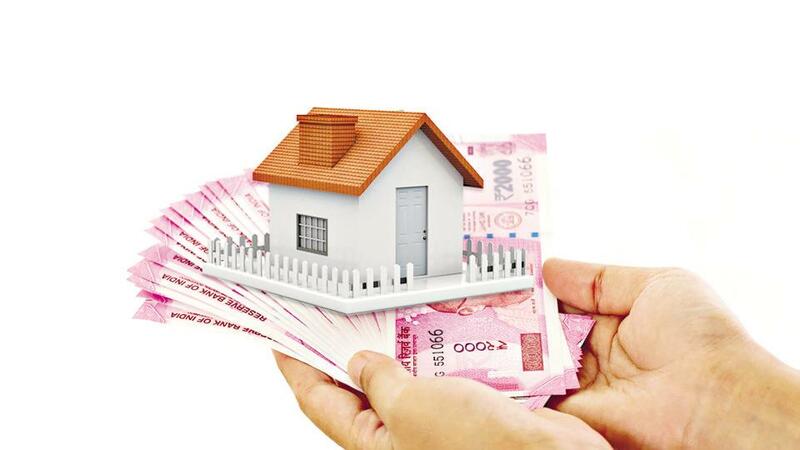 “In the presence of all required approvals, getting a loan is as easy for a collector property as it is for any other property,” says Sanjay Chaturvedi of the Sanjay Chaturvedi Associates. *Upcoming housing projects being built on the collector property fall under the ambit of the real estate law. In case of dispute, one could approach the state Real Estate Regulatory Authority.